I was traveling last week and as I waited to board a plane a woman answered the first call for those with small children or others needing assistance. She passed me with a pink stroller. As I looked in the stroller to see the baby’s smile I saw… a dog! A cute dog but nonetheless not what I expected. She checked the stroller and as I boarded the plane I saw it on the entry ramp to the plane with a small label that clearly read “for dogs only.” That was my second surprise. They make strollers especially for dogs? You might be surprised what they make for dogs (see above)! 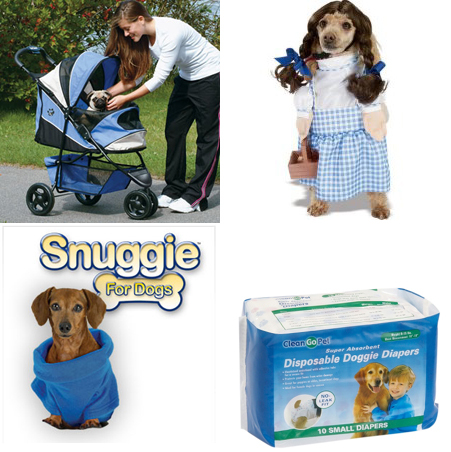 Virtually anything you can buy for a child you can now buy for a dog… strollers, diapers, Halloween costumes, Snuggies… (In fact it is estimated that Americans spent $47,700,000,000 on their pets in 2010. That is similar to the total size of the U.S. Department of Education budget in the same year or the annual total gross domestic product of Belarus. Another aspect of the growing pet economy is an increase in the number of people leaving parts of their estates to their pets). On the plane as I was reading the “news” this quote from Elisabetta Canalis, Italian girlfriend of actor George Clooney, caught my eye: "Getting pregnant has never been an objective for me. My maternal desires are fully satisfied with my dogs." OK that’s too much of a coincidence not to be a blog post… (and I’m not the only one to have had this thought… ). I’ve come to learn that people like Ms. Canalis are known as “pet parents”—people who treat their pets the same way they would a human child. In fact if you want to start looking for gifts now National Pet Parent’s Day is celebrated each year on the last Sunday of April (April 24 in 2011, or on the Church calendar, Easter Sunday). To explore further, I searched the iPoll archives and found a number of questions about pets. In surveys from 1947 to 1985 fewer than half of Americans reported having a pet (sometimes more specifically phrased more narrowly as a “dog or cat”). And then something happened in the 1990s. A majority of Americans became pet owners. Specifically dog ownership increased from about one in four to a third during the 1947 to 1985 period to more than four in ten since the mid-1990s. Could this increase in pet ownership be affecting fertility rates? Or more likely, could this increase in pet ownership be a result of declining fertility rates and the desire of Americans to have a parental connection to something? 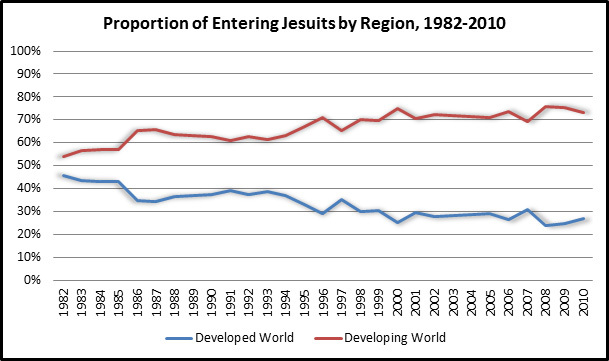 The literature on Catholic fertility rates is substantial. One of my favorite pieces comes from Sister Leo Marie, O.P. 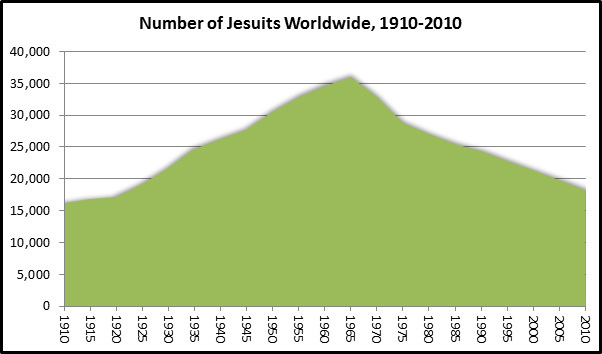 published the 1944 article “Is the Catholic Birth Rate Declining?” in The American Catholic Sociological Review. Here she writes, “It has been the observation of many priests and teachers in the area studied that certain elements, such as birth control and mixed marriages, have weakened Catholicism in this region [mid-south] and have helped to bring about religious indifference and carelessness” (p. 177). Remember this is 1944! Yet it sounds like something you might have heard in a blog rant in 2004. In this article she finds that “the proportion of large families has declined appreciably and that of small families has increased” (p. 181). She concludes that “Only a superficial analysis is required to show that the main causes of the present declining birth rate are urban culture, the weakening of the moral and religious fiber of people, and the economic structure of present day society” (p. 183). 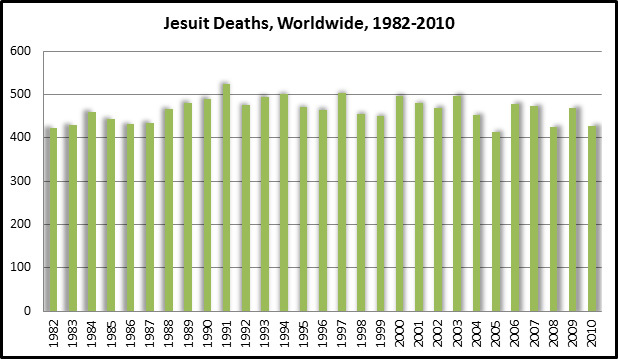 Unfortunately for Sr. Leo Marie this article was written just before one of the most extraordinary increases in Catholic (and non-Catholic) fertility in the history of the United States—the Baby Boom. So much for the effects of urban culture and the weakening of moral and religious fiber! 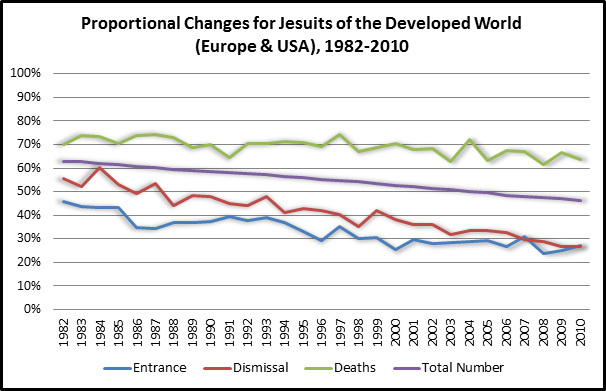 (This should also serve as a lesson to those who believe the 1950s and 1960s were the “norm” for Catholic fertility. These were not. 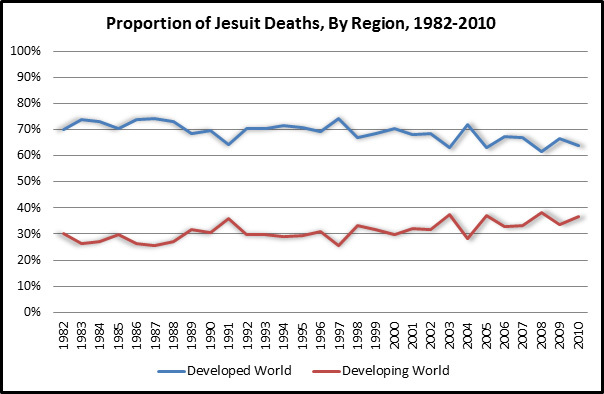 Catholic fertility was significantly lower in the 1930s and 1940s—severely affected by both economic depression and war well before the availability of the pill or abortion). 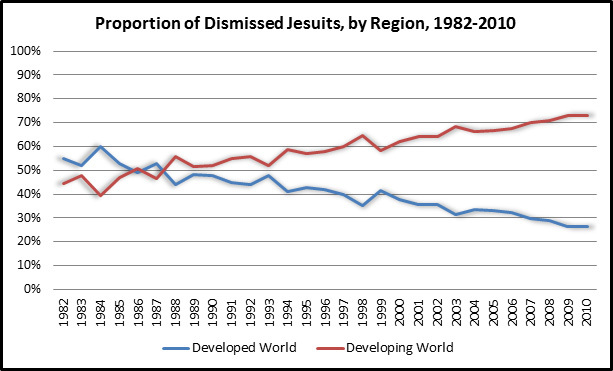 Between 1956 and 1965 the Catholic marital fertility rate was approximately 4.3 children (see Westoff, Charles F. and Elise F. Jones “The End of ‘Catholic’ Fertility” in Demography, v.16 pp. 209-217). From 1966 to 1970 this dropped to 2.8 and from 1971 to 1975 down to 2.3 per woman. 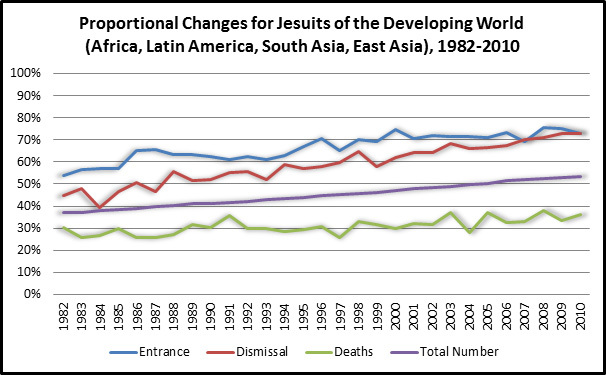 These fertility rates were significantly higher than non-Catholics even as they also experienced a significant jump in fertility between 1956 and 1965. The decline in fertility and increase in pet ownership are indeed correlated yet there is certainly no evidence of direct causation in either direction. Today the American fertility rate is just above 2.0 at or near “replacement” level. 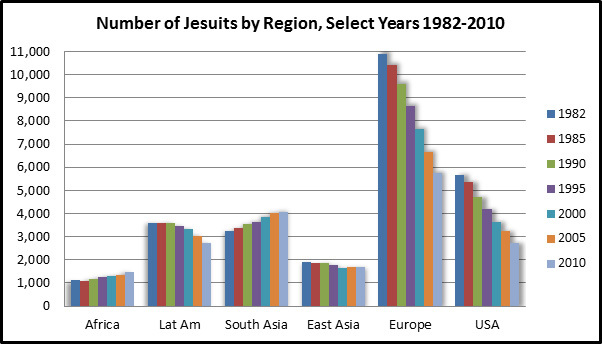 However, this is primarily due to the high fertility rates of immigrants—many of who self-identify their religion as Catholic. 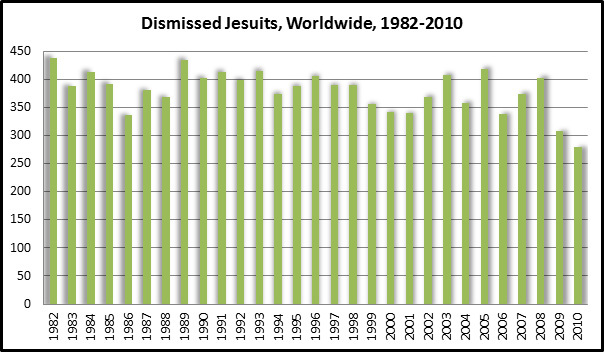 The more relevant question is if pet ownership among Catholic today related to fertility? Below, I look to a 2008-09 American National Election Study (ANES) panel survey for some answers. I must note that this survey uses a sample that excludes non-citizens—as they are legally ineligible to vote. 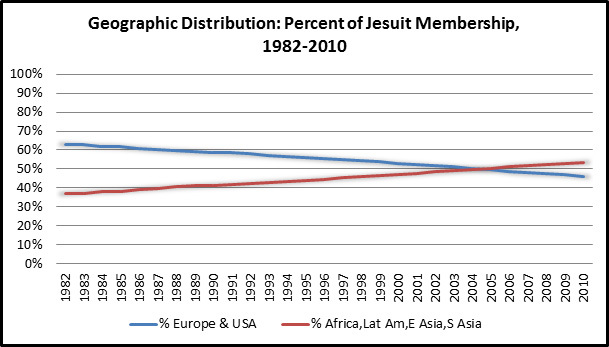 Thus, it is not a perfect representation of the Catholic (and non-Catholic) adult population. But it is as good a source that is available as polling about pet ownership is not necessarily a hot topic. Overall, three in four Catholics (74%) report in the 2008 ANES study that they have a pet in their household (Take note that only 75% of all Catholic adults in the most recent General Social Survey indicate that they have ever had a child). This is significantly higher than historical rates of pet ownership measured in Gallup and other news surveys in recent decades. Other Americans with a religious affiliation are slightly less likely than Catholics to own a pet (67%). 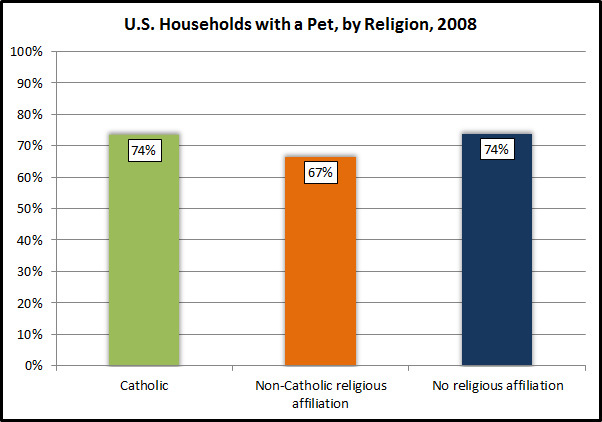 Catholic pet ownership rates are identical to those of Americans without any religious affiliation (i.e., the Nones). 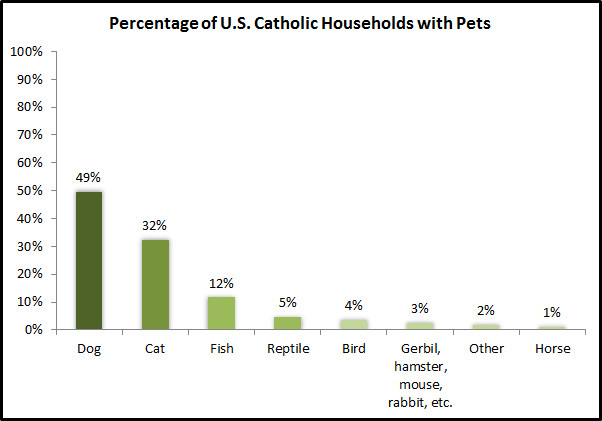 Catholics clearly prefer dogs to cats or any other type of pet. About half of all Catholics (49%) have a dog in their household and nearly a third has a cat (32%). Fish (12%), reptiles (5%), and birds (4%) are also relatively popular selections. If you want a pony you better hope that your parents are not Catholic as only 1% say they own some type of horse. 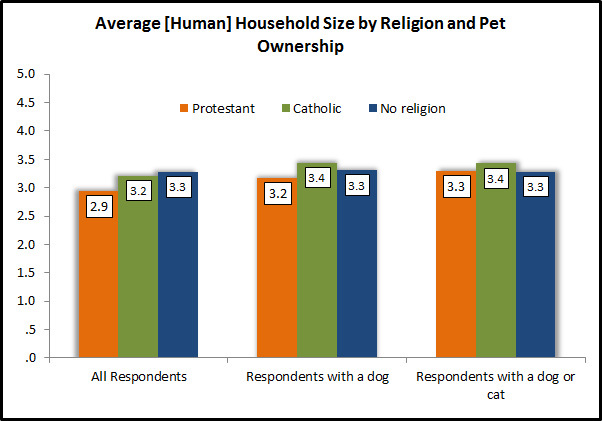 By comparison, Nones are much more likely to be “cat people.” Some 47% of those without a religious affiliation have a cat in their household compared to 32% of Catholics, 35% of Protestants, and only 25% of those of other religious affiliations. Also interesting is that Protestants are only half as likely as Catholics to own a reptile. Are Catholic pet owners less likely to have larger families than Catholics who do not own pets? Here we are up against the limits of the questions asked in the ANES survey. As a proxy we only have total household size which is a fairly good proxy. The results? Hypotheses rejected! Catholics with pets do not have smaller families than those without pets. On average, the household size of Catholics with dogs is 3.4 compared to a 3.2 person household size for all Catholics. 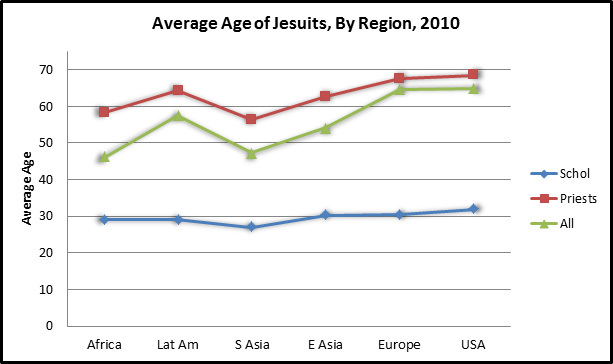 Add cats to the equation and Catholic pet owners still have larger households. It appears that pets come along with children rather than the other way around. Thus, if you are looking for scapegoats for declining Catholic fertility don’t look to the family dog (or other pets)... yet. More often than not a family dog is associated with larger Catholic households. 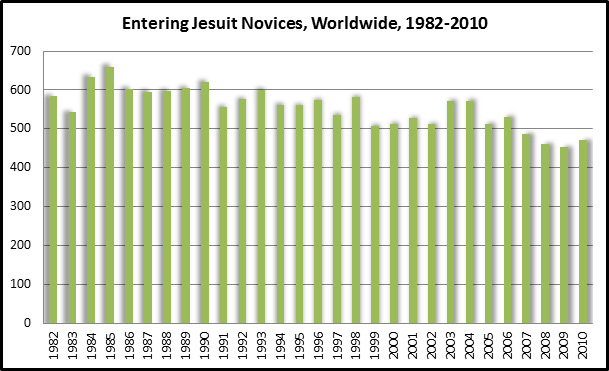 I’m still not sure if they need strollers, a Snuggie, or a large place in any will, but I can report that there is little evidence in current data that openness to pet ownership among Catholics is replacing openness to children.